Ingen popped three personality-filled pumpkins on paper with a palette of orange, black and white and came up with an adorable Halloween piece of eye-candy! The white doily makes a perfect contrast for the paper and the pretty black twine that finishes it off! Thanks for sharing your card with us, Ingen! 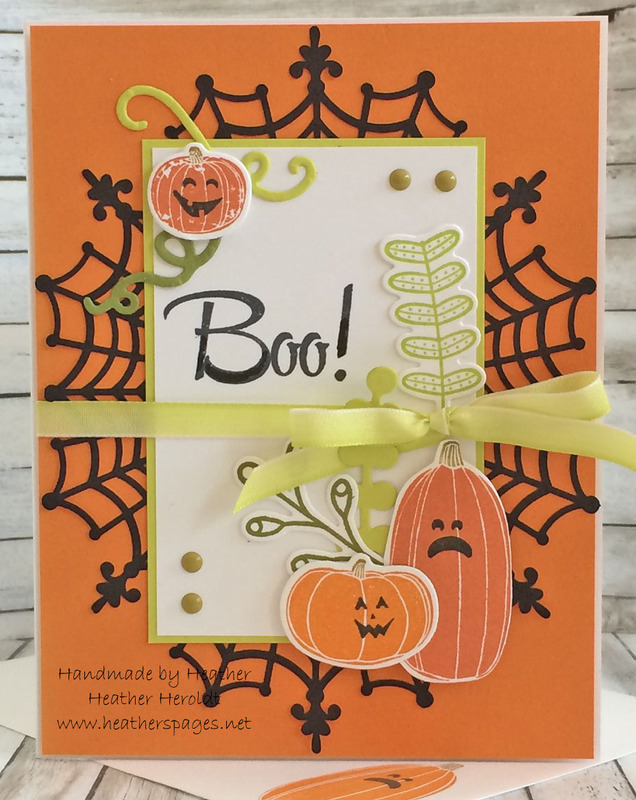 The Design Team fell in love with those adorable pumpkins, backed by the spider web doily. 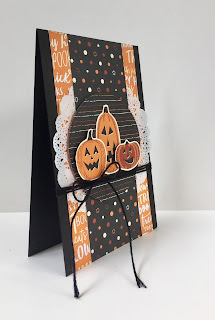 With all the twisty vines and ferny leaves in shades of green, this Halloween card is definitely a treat for the eyes and Heather's trick with the sentiment left us all admiring her skills! Congratulations, Heather! Congratulations to our two winners and thanks to everyone who played along! I hope you'll come back and check out our new Collection challenge tomorrow! Our winners can pick up their badges on this page and display them with pride on their blogs or sites. Eeee! So honored to get SNAPS - thanks so much ladies! I have so much fum with teh challenges here - and congrats to Ingen!